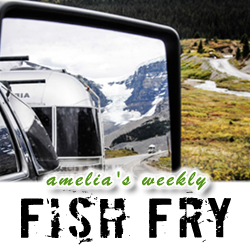 Calling all makers, DIYers and FPGA enthusiasts — This week’s Fish Fry is dedicated to you! In a very special episode of Fish Fry, we are giving away an Odyssey MAX® 10 FPGA and BLE Sensor Kit courtesy of Macnica. Steve Sharp (Macnica) joins us to unveil the cool features of this new FPGA and BLE Sensor Kit and gives us the low down on what awesome projects we can create with it. Also this week, we look into the growing security threats facing our FPGA designs today and investigate Altera’s new Stratix 10 built-in security features that hope to keep the bad guys at bay – once and for all.